We have now been back in the US for two months. This is our first full month in the Olympia, WA area and only our second week in our apartment. We have transitioned pretty well to life here in the US and we now have a little bit of furniture to make our lives more comfy. We have a bed, a dresser, a sofa and two chairs with an end table and a lamp. That’s it, and that’s how it will stay. It cost us a little over $1000 for all these pieces. Our kitchen did much better because Mike and I both love to cook. Because we have transitioned to a much healthier lifestyle (Mike as a vegetarian and me a vegan) we splurged and bought a refurbished vitamix machine. We also bought a rice cooker / steamer and a coffee pot. 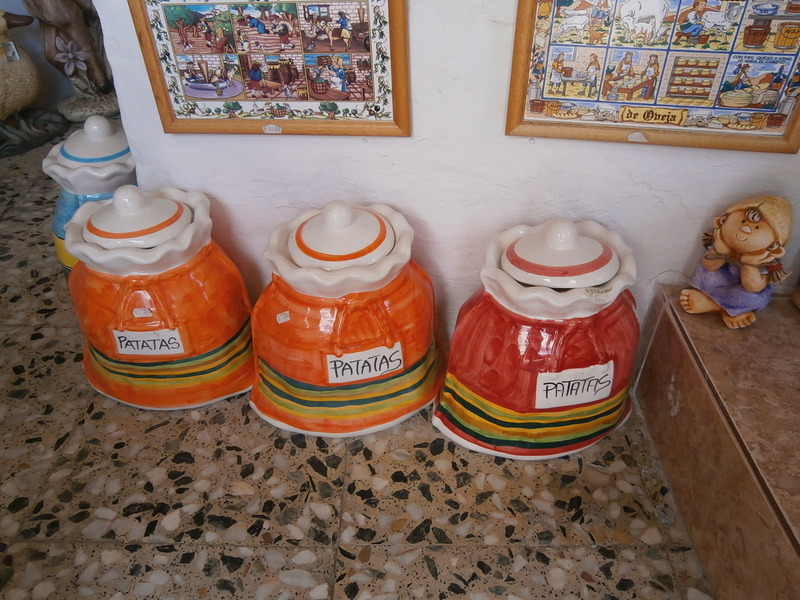 Where we really splurged was in getting a large stock pot so that I could make large pots of soups and spaghetti sauce. Our freezer is already bursting with frozen veggie soup and sauce. Mike and I are however walking around still looking shell shocked over the high cost of food, utilities, and in general just everyday items. 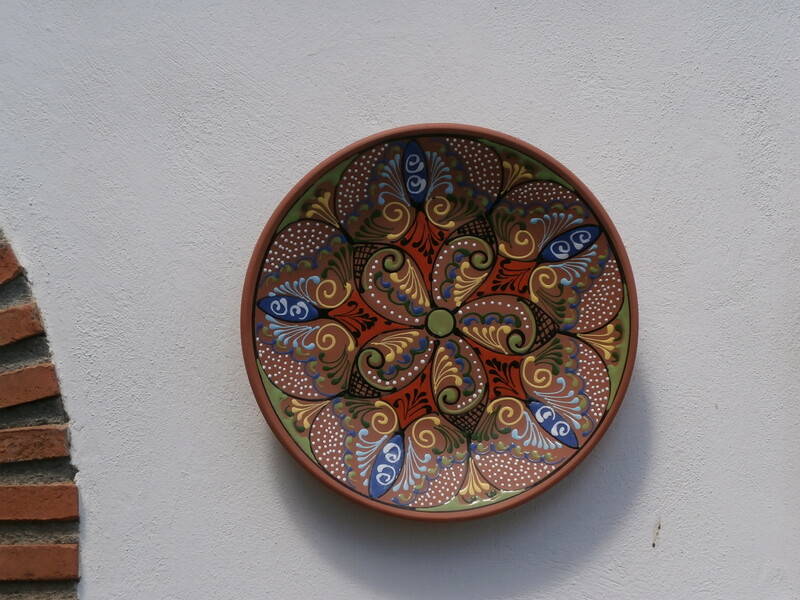 We realize more than ever that we had it really good while living in Panama, Mexico, Croatia and even Spain. The cost of food was not nearly as high as it is here and we always had fresh produce. It is hard to reconcile paying the higher costs with being here. Why does it have to cost so much more to live here in the US? Why is our rent so high ($775 a month) and we are still paying for the utilities? Why is the cost of food so much higher here? At the local farmers market a pound of apples is $2.79 a pound. I mean these apples are not being imported they are being grown here so why is the cost so high? What on earth is the reason that taxes on a utility bill such as our internet and phone service are $20 a month? The TAXES are $20 a month. The bill for service is already almost $70. Who else feels like they are being ripped off and why can’t we make it stop? While living outside of the US internet was $20 a month and phone cards were $5 for about 60 minutes of talking time. There is no rational explanation why these costs are so high. I find it funny that so many people talk about moving to the US because it’s the land of opportunity. What we honestly have that other countries do not have is the luxury of having electricity or gas. We also have a wealth of options when it comes to grocery shopping since all of our stores look like big box stores. What all these people coming into the US do not realize is that they honestly have it really good in their own countries. They have fresh fruit and vegetable markets, they have a fresh bread bakery in every neighborhood, they have smaller options and selections in their much smaller mom and pop grocery stores but they have everything they need. Less is more. Really! I guess once an expat, always an expat. I’ll think of my time living back here in the US as just another stop on our travel adventure. I’m already looking forward to living someplace where the costs for everything aren’t so high. We are after all paying for all these freedoms we have here. But $20 in taxes on landlines and internet every month? The old saying is that you can’t go home again. They are right, especially once you learn that living at home is a rip off. You might also enjoy Mike’s post – The Fleecing of America. 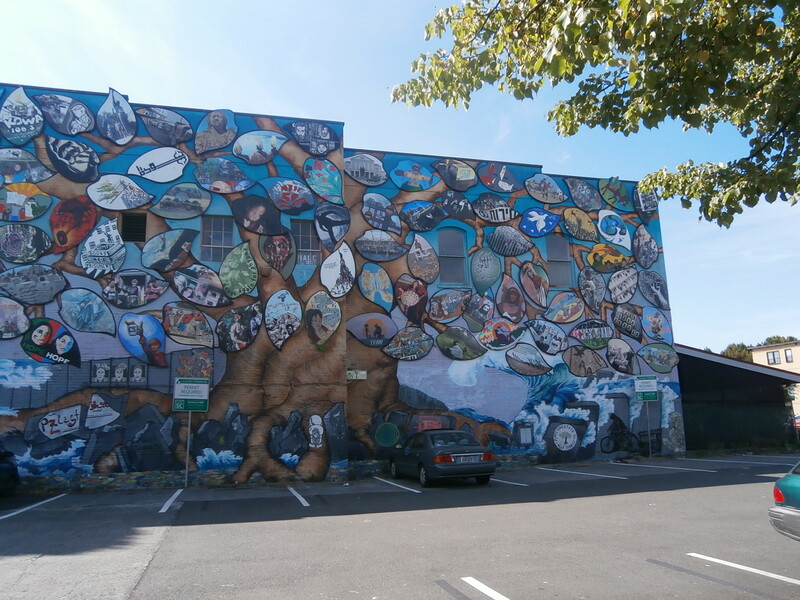 Having traveled to four continents and over 28 countries thus far I have to say I don’t think I have ever lived in a city with more murals than can be found here in Olympia, Washington. A mural is defined as any piece of artwork painted or applied directly on a wall, ceiling or other large permanent surface. It is most common in a mural for the architectural elements of the given space to be harmoniously incorporated into the picture. 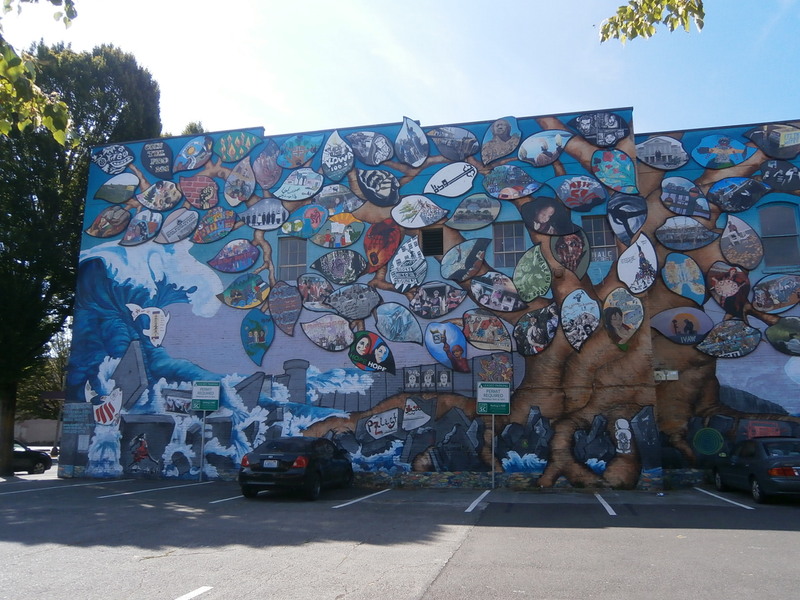 Olympia is home to the world’s largest solidarity mural. This 4000 square foot mural begins with a giant olive tree with branches and leaves. These leaves are called talking leaves with each one representing an organization from around the world which represents solidarity, activism or community service. The mural was erected in honor of Rachel Corrie who was born here in Olympia but killed in Gaza. The artists who participated in creating this mural were local, national and international artists and activists. This website, for the Olympia Rafah Solidarity Mural Project, has a wonderful interactive aspect which tells you which organization painted and supported the mural ‘leaves’. It will also allow you to see the leaves close-up. Rachel Corrie was a young activist who was crushed to death by an Israeli bulldozer while defending the home of a Palestinian family in Gaza. The mural is located on the corner of State Street and Capital Way. 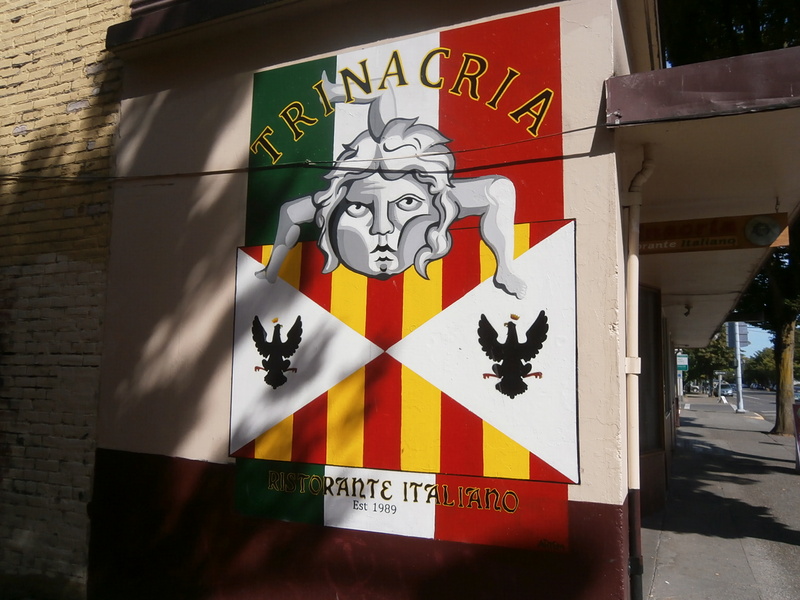 Trinacria is a Sicilian restaurant located on Capital Way. It is open only for dinner and doors open at 5:00pm. I can personally attest to the fact that the cannoli’s are made fresh when ordered and the owner, who is from Sicily, uses good rigotta cheese. 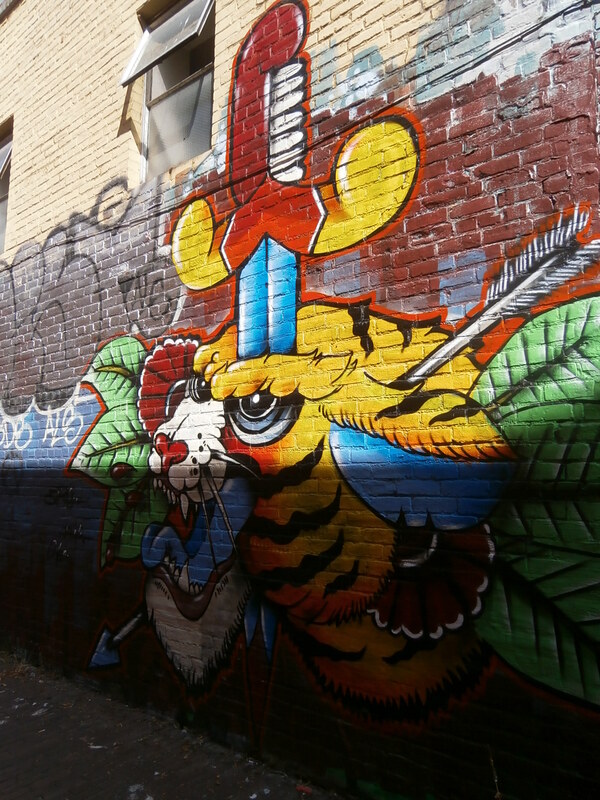 In almost every alley in between buildings you can find a mural. They are literally everywhere in this city. You just need to keep your eyes peeled. This one is located near a local Thai restaurant. The mural depicting all of the Marvel Comic Book Hero’s was copied from a 300 piece puzzle entitled the Marvel Super Heroes Fantasy Jigsaw Puzzle. Can you name all the super hero’s? This mural is located on the same stone wall as the mural for Trinacria. 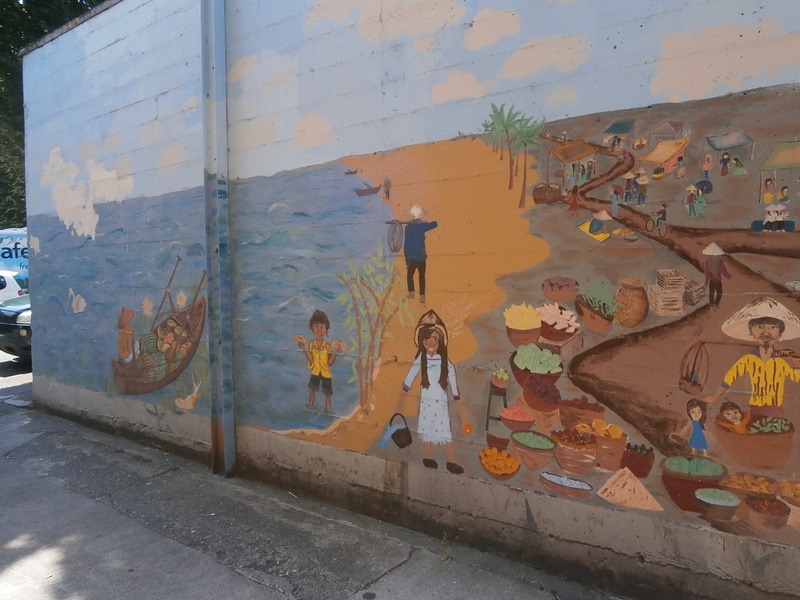 Participating in the painting of murals is a big deal here in Olympia. This past August 24th was the 4th Annual Community Mural Painting Project. Residents and painting enthusiasts meet and help to paint a new mural every year. 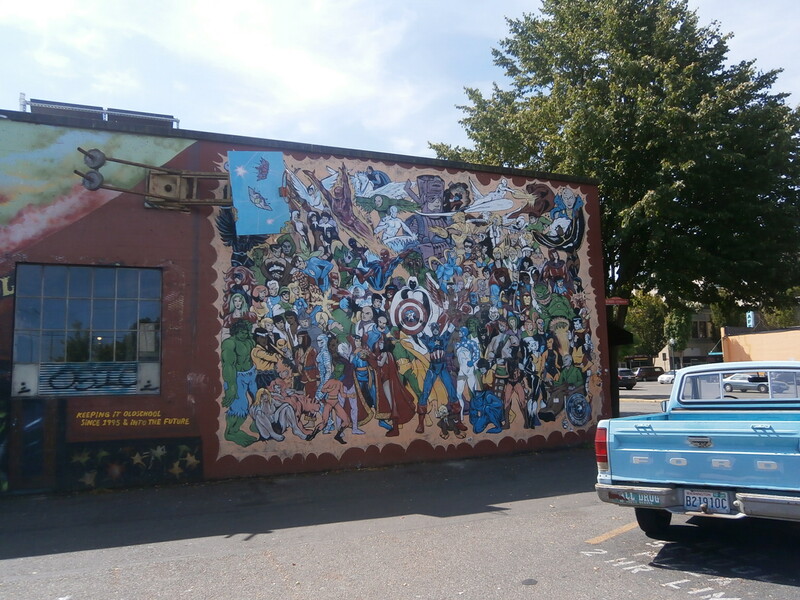 This year the mural was located at the Olympia Little Theater. I will have to make it over to the site to take photos of the finished project and I’ll share them in an upcoming post. 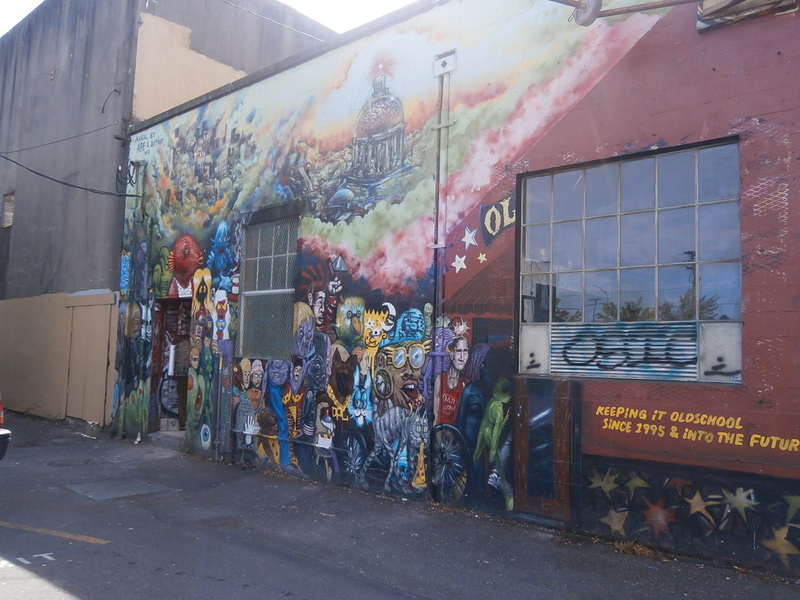 I could not find a website to tell me how many murals there are in Olympia. As I see and find more I will record them in snapshots and then share them from time to time. I take and use my own pictures on all three of my blogs. I have tried to stress the importance to my husband as to why we should not use photos found either on the web or from any of those supposedly free to use photo sites on our website or blogs. Recently a forum issue came to light on a travel site that I monitor and I thought I would share it here. A long-standing travel agency contracted with a social media company to create their media presence (Facebook company page; website, etc.) back in 2011. This social media company went to the internet and without thinking downloaded photos that they found on a photo sharing site believing that any photo on the internet is free to use. In May of this year the travel agency received a letter from a lawyer telling them that they were being sued by the original photographer for $25,000 for each picture they had pirated. This was not a joke. This was a real legal firm and the legal action is valid. The travel agency owner proceeded to call a copyright attorney to get clarification. What he learned was a real shocker and an eye opener. It seems that a large number of artists (both photographers and drawing) and some unscrupulous law firms have created a whole new industry and the almost perfect scam with copyright laws. The legal firm the travel agency contacted (Quarels and Brady) told them that this particular photographer has sued various people over 23 times for copyright violations in using his pictures which they downloaded from one of those free sites. The issue, the artist is claiming, is that he suffered a financial loss from people who download his photos but do not purchase them and your company benefited from using his photos (most of the people being sued are business owners), and they have you. As you read this you might be thinking that you must be safe because you posted someone else’s photo two years ago and no one reads that post any more? Statute of limitations on suing someone for copyright infringement is three years. What these artists are doing is allowing people to download their photos from these sites, they wait for about 2 – 2 1/2 years and then they sue the person using the photo. One of the ways they do this is they put their copyrighted pictures on free wall paper sites and people will download them to their computer and then use the picture on their website or Facebook, thus violating copyright laws and here comes the lawsuits. The key here is that the artist holds the copyright on the photos. He is downloading them so that you can see them, not to use them. That is the largest key factor here. According to the legal firm of Quarels and Brady it is the perfect scam because there is absolutely no risk to the artist and the law firms that are involved in these scams take these cases from artists on a contingency basis so the only cost to the artist is the $300 lawsuit filing fee. Those unsuspecting folks who download these photos and who are getting these letters demanding payment in the mail are suspicious when it does not come certified but regular mail. The agency owner was told that these law firms are doing mass mailings of these lawsuits so they are trying to keep costs down. Their theory is they send out 500 of these lawsuit threats and they will collect on about 150 of them with just the letter but it is enough for them to make money on this. The travel agent who was being sued is still negotiating and the photo in question he had on Facebook he has since taken it down and every other photo he did not take personally has been removed from all of his social media. The other thing the agency owner was told was that by law we are responsible for any photo someone else posts to our Facebook page because you, as the owner of that page, are the one that is liable. You are now wondering how the photographer found out that someone downloaded his photo, right? According to the research done by Quarel’s and Brady the artists have created web crawler alerts so that every time someone uploads their photo they receive a notification which they tuck away for future reference. There are hundreds of artists doing this because they have found an easy way to make money. Bottom line, to be completely free of this, make sure you know the owner and where any picture came from that is placed on your website or on your business Facebook page. Or better yet, don’t use anyone’s photos but your own and copyright your photos when you put them on your website or blog. Hey America, What’s Your Hurry? Three years ago Mike and I embarked on our travel adventure. We left the US with two suitcases each and a camera to take pictures of the places we traveled too. We also took our American mindset with us. Where this mindset really got an awakening was in every café and restaurant we visited on every other continent and in countries around the world. When we first began to travel we would sit down in a restaurant and huff if we didn’t get our menu and our water within two minutes. We would wonder if the waiter was on strike if they didn’t return to take our order in five minutes and heaven forbid if the food wasn’t served within 15 minutes we wondered if they forgot about us all together. Then life and living outside of the US took hold. We learned to enjoy our time out and we learned that other cultures actually spend more time socializing with each other than stressing about making the next big meeting or being somewhere on time. Other people in other cultures actually learn more about each other and communicate with each other without using text messaging and email because they sit and talk to one another face to face over a cup of coffee or a meal. We also learned that no restaurant would hurry us or expect us to pay within an hour’s time of sitting down. Most cultures would wonder what our hurry was if we asked for the check within a two hour time frame. In some countries we literally had to beg to get the check so that we could be on our way. 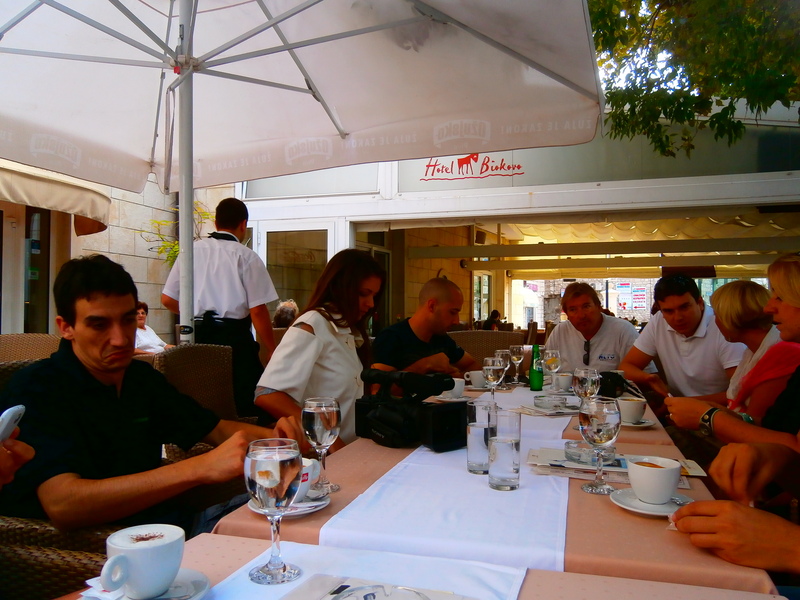 We learned in all these other countries to relax and enjoy our food, our surroundings and the company of those with us. 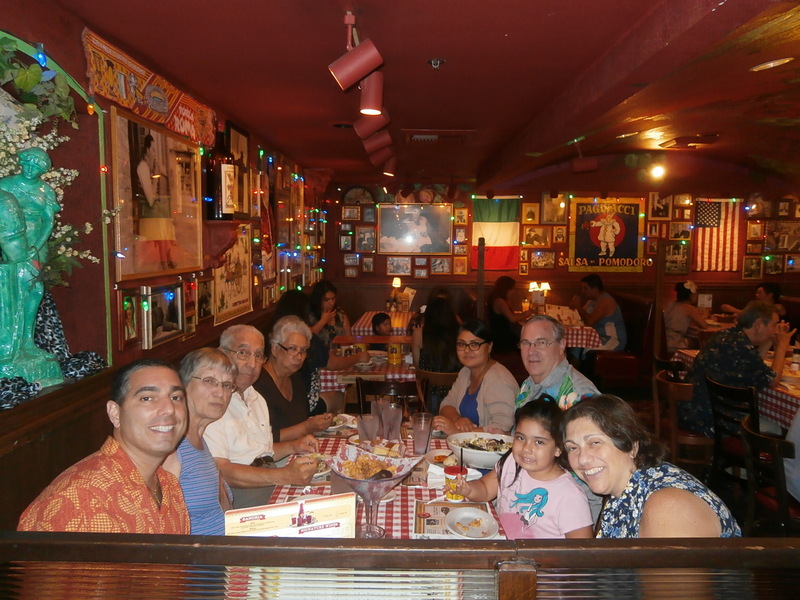 Recently, after returning to the US, I made lunch dates with several people I hadn’t seen in a very long time so that we could sit, chat and catch up. I chose the restaurant and we proceeded to talk, for 3 hours. Because of our recent travel lifestyle I was so comfortable in being in a restaurant for hours on end that I had forgotten that in the US people expect us to eat and be gone within an hour of entering their establishment. 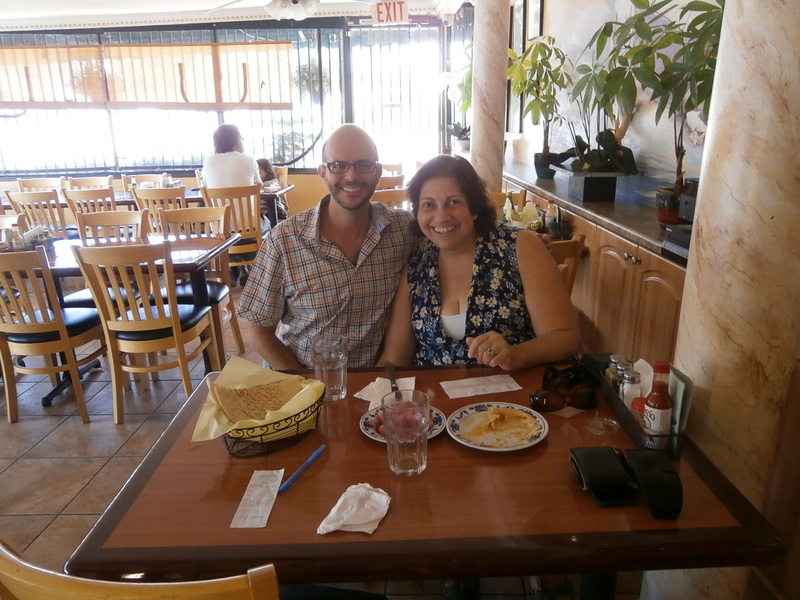 It was after we had been chatting for an hour and a half that I realized that the waitress was coming by more often to see if we needed anything and she would take away an item or two. Around two hours in she stopped bringing us water to drink thinking that perhaps if our throats were dry we might just go away. It was around 2.5 hours in that I realized that all the tables in the place had been full, then emptied and then full again but never once was there anyone standing around waiting for a table. At 3 hours we got up to leave and the place was mostly empty. The waitress didn’t even say goodbye. Years and years ago in my family Sunday was family day. 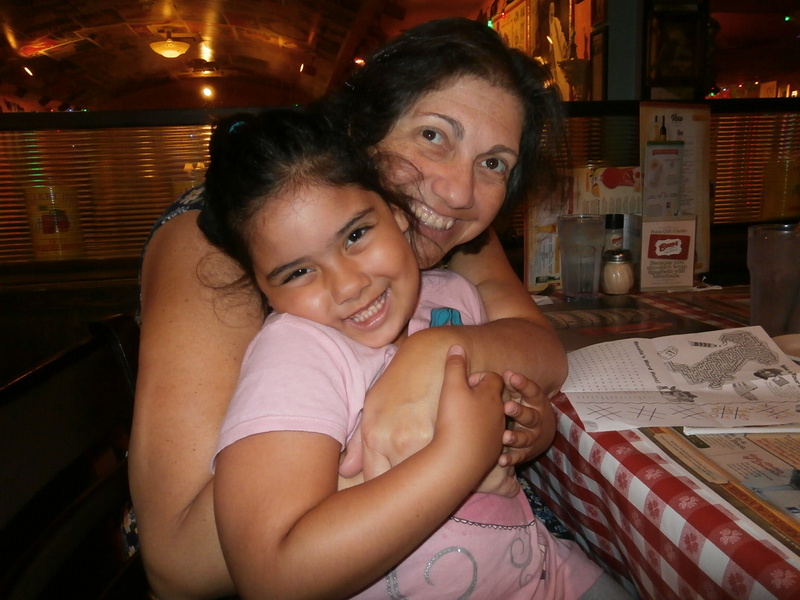 We would visit with family and be together all day eating and talking and playing games. I still remember those days fondly and I’m glad we did them. What other cultures have that many Americans have lost is the art and mindset that sitting and chatting with other people on a daily basis is more important than making a fortune for your employer or that rushing to get things done is productive and worthwhile. I have to wonder that at the end of our life are we going to recount how fast we ran our errands and how quickly we did all our chores so we could make the next big meeting or make a deadline? Or will we think back to the good times we had with family and friends? Will we remember the picnics and the dinner parties and the birthday’s we went too and the sound of a child’s laugh? Yes traveling and living in others countries is something that I won’t soon forget. I also won’t forget that taking the time to eat and socialize with others is just as important as working. I won’t be in a hurry to leave a restaurant when I’m bonding with the person I’m with because that relationship I’m building means more than speeding to get to my next appointment. In our short time living outside the US and learning how other cultures live I have to wonder, America, what’s our hurry? I love decorated doorways, courtyards and windows. For some reason I tend to take a lot of pictures of these things. In the country of Spain I had a wealth of them to choose from. 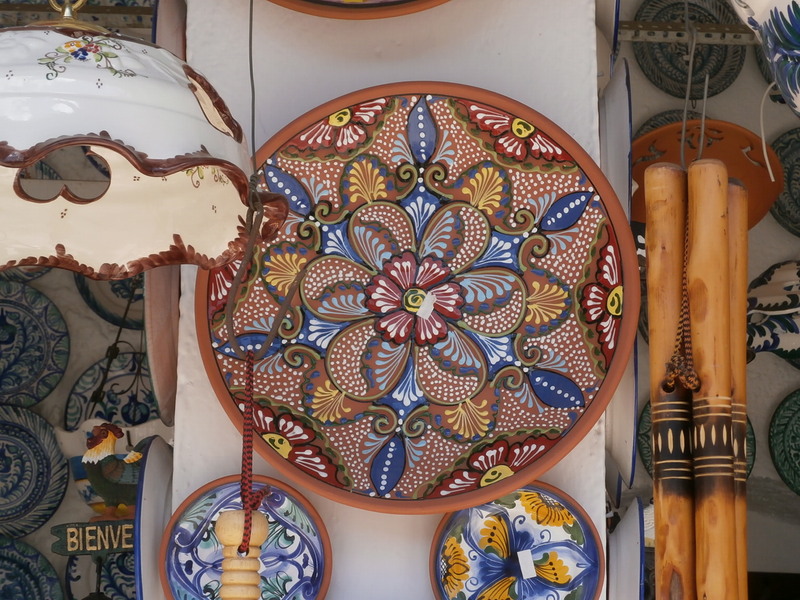 In every city we toured and in every region of Spain everyone seemed to like flowers in their window boxes and doorways or entrance courtyards with intricate carvings or decorations. My last video on Spain is therefore a retrospective of the many decorated windows and intricate doorways and entranceways I found during our time there. Mostly what I wanted was to create something using music with a Spanish guitar as the main instrument. While Flamenco may by the most famous dance associated with Spain to me it is the playing of a Spanish guitar that invokes movement and rhythm and that which sets my heart racing. The song Pure Paradise performed by Armik therefore does this slide show justice. Enjoy. The stories of our time in Spain continue to invade my writing list. It would be hard to live in a country and not walk away with a treasure trove of stories to write about. For me sometimes it is in the taking of the pictures that helps me to formulate and create my stories. 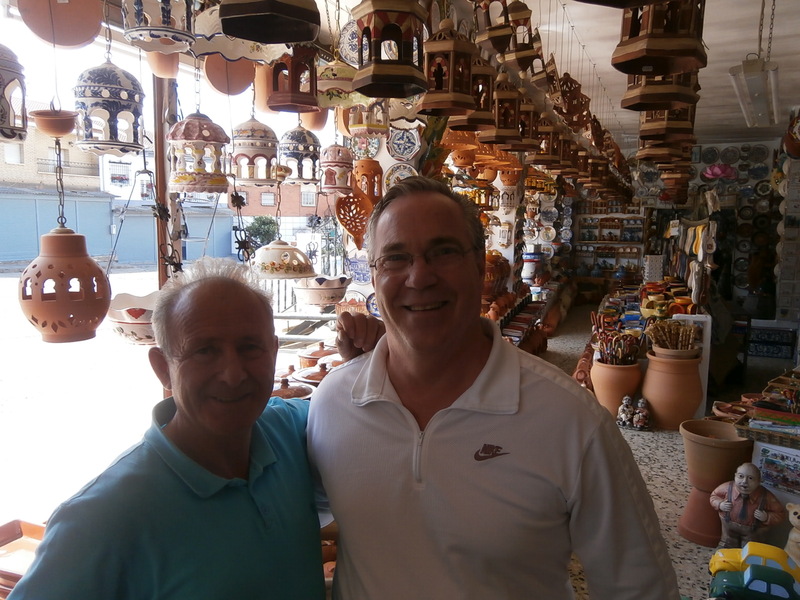 On the day we traveled to Seville and Cordoba we stopped first in a little town called Purullena. Purullena is known for two things. 1. It is known for its cave homes. Roughly half of the population of the town (about 2300 people) actually live in cave dwellings which explains why it is also called Troglodite City and 2. 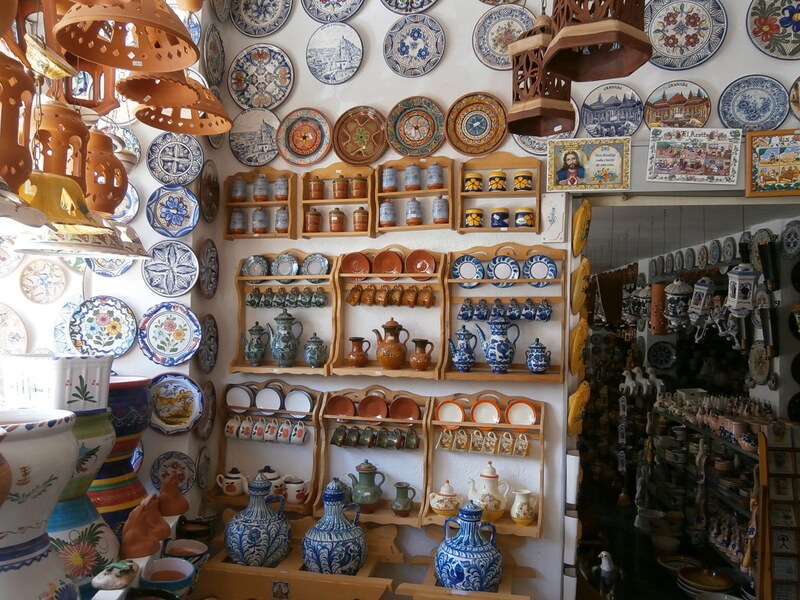 They make and sell a lot of pottery here. 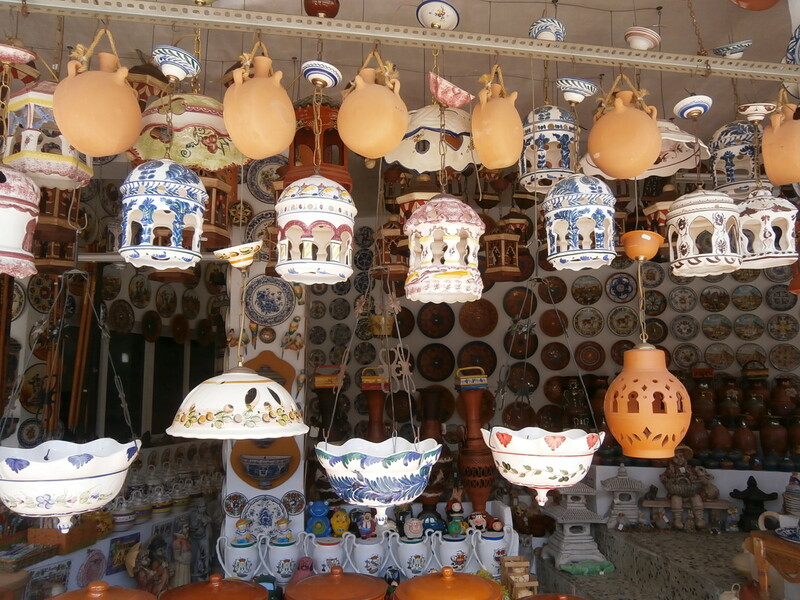 The town of Purullena dates back to 1800 B.C. The cave dwellings appear to originate from the Arab occupation of the town. The Moors were in control of the town from the 9th century until 1489, when it was reconquered by the Catholic monarchs Ferdinand and Isabella, they of Christopher Columbus fame. 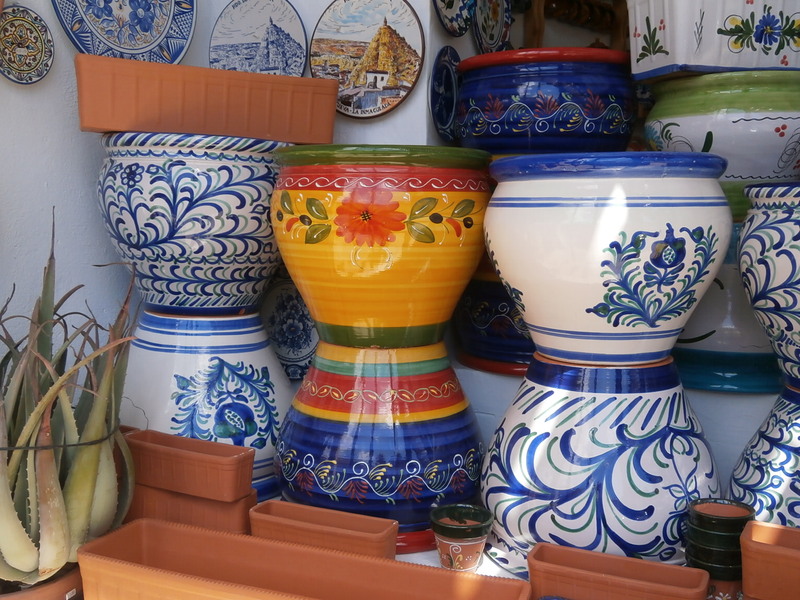 Agriculture, pottery and tourism all contribute to the economy of the town which is known for its fertile soil and for growing peaches. On this day however we were in pursuit of pottery. Rebecca Groundage was born in Philadelphia in 1827. In 1843 she married Alexander Howard. In 1859 she and her husband had moved to Olympia, WA where they opened a hotel and a restaurant which they called Pacific House. She and her husband ran Pacific House and Restaurant from 1859 to 1866. It has been recorded that The Pacific Restaurant quickly became very popular with travelers since Mrs. Howard was an excellent cook, had a keen wit and a sharp sense of humor. They entertained dignitaries such as Civil War Gen. William Tecumseh Sherman; and a parade of legislators and other visitors to the capital city and in 1880 she even hosted then President Rutherford B. Hayes and his wife Lucy. She was however not impressed by politicians. Mrs. Howard was said to be stern but also a caring and giving woman. In June 1862 she and her husband signed an agreement to care for Isaac I. Stevens Glasgow. Isaac was part American Indian whose father, Thomas Glasgow, mistreated his son. In 1877 the Howards adopted Isaac and changed his name to Frank A. Howard. After retiring Rebecca moved her family to Priest Point, outside of Olympia, and her husband was able to set up his farm. 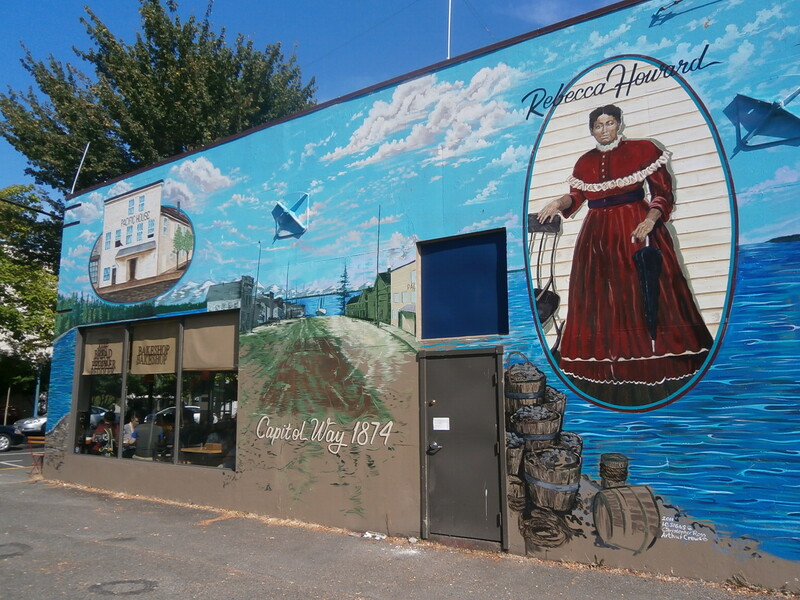 After selling Pacific House Rebecca continued to promote business endeavors in Olympia and she donated 100 acres of land to the campaign to gain a railroad terminus in the city. While retired, Mrs. Howard continued to build her wealth by buying property. According to the tax records of 1870 there were 221 taxpayers in the Washington Territory at that time. All were men, except for Rebecca Howard whose wealth was recorded at $50,000. In 1870, after only 4 years of retirement Rebecca opened a boarding house and then reopened the Pacific Hotel and Restaurant. Rebecca died in 1881 after suffering a stroke; she was 52. She left an estate valued at $1 million dollars. Yes, Rebecca Howard was not only a pioneer woman but also African American. She flourished in this part of the country at a time when not only most woman but African Americans were still dealing with the after affects of slavery and the Civil War. Being a female business owner is tough enough. Being a female business owner, a pioneer and an African American woman should have placed major roadblocks in her path. They did nothing of the sort. I am used to walking around cities and taking pictures of interesting things. 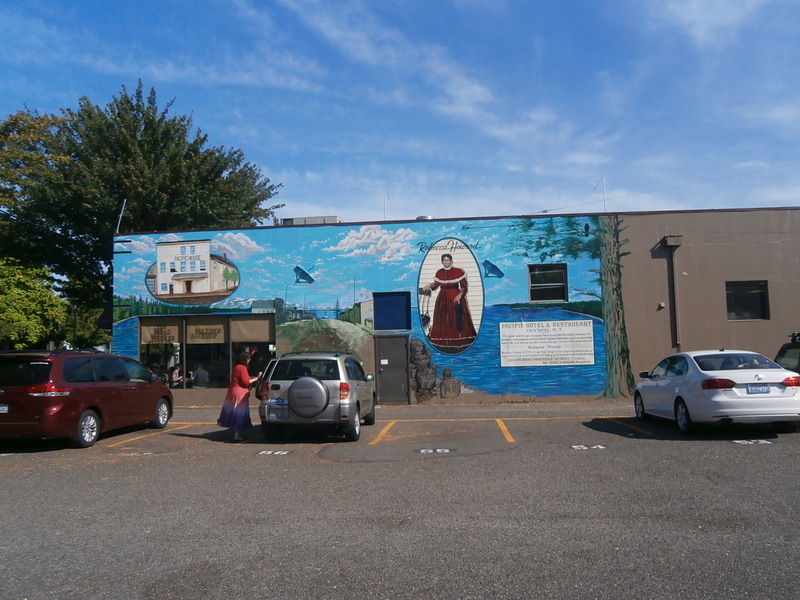 Olympia is a city filled with murals (of which I will be writing another story) but this one mural struck me as unique and different and I wanted to learn more about the woman who stood so tall and regal on the side of this building. So I returned home and began my research.